Sweet Potato Pie has been entertaining audiences for over a decade with their classy blend of Americana, Bluegrass, Country and Gospel music mixed together in a style they call “sweetgrass.” Radio and TV are well acquainted with their “angelic” vocals from appearances on PBS, the Food Network and worldwide radio broadcasts. 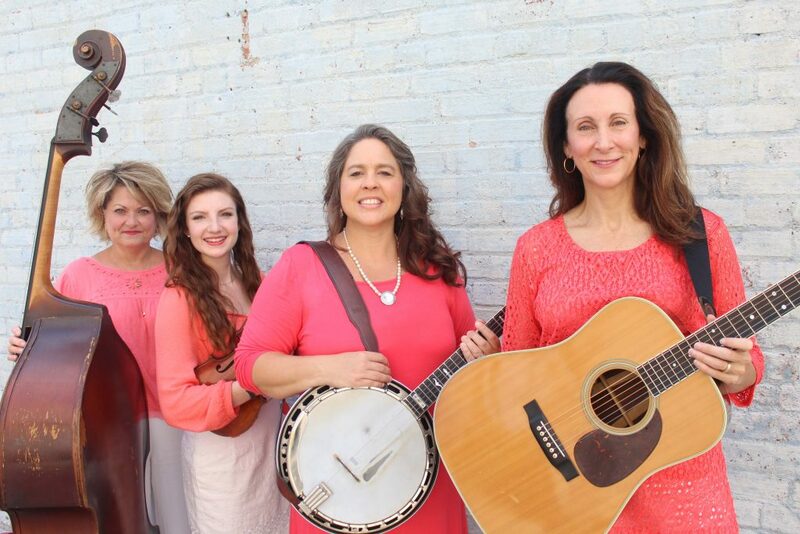 Hailed as the “Lennon Sisters of Bluegrass,” their show revolves around their beautiful three-part harmonies, hard driving instrumentals and down home humor. With classic songs from Patsy Cline, Bill Monroe, The Judds and many more along with their chart topping original songs, you are in for a sensational night of family entertainment. The group is proudly sponsored by the North Carolina Sweet Potato Growers and are often accompanied by “Spencer,” their eight-foot sweet potato mascot. Tickets: $15 each or $10 for Students w/ID. Robeson County Arts Council members receive a 10% discount! Season Tickets: Purchase 5 or more events at the same time through our box office to receive a 10% discount. Please note that BALCONY Tickets require walking up significant stairs. No Refunds or Exchanges. This performance is partially underwritten by a grant from the Robeson County Arts Council.